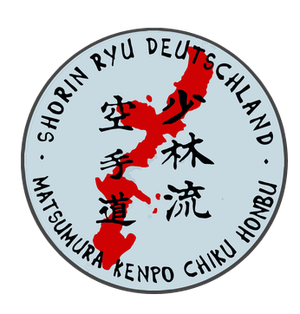 Welcome to Shorin-Ryu Matsumura Kenpo Karateverein Landstuhl e.V. - Shorin Ryu Karateverein Landstuhl e.V. Welcome to Shorin-Ryu Matsumura Kenpo Karateverein Landstuhl e.V. Our organization is affiliated to the All Okinawa Shorin Ryu Matsumura Kenpo Karate and Kobudo Association. The association covers Japan, Germany, Central America and the USA. In Germany there are currently three dojos: the karate club Landstuhl, a dojo in Bischofsheim and a dojo in Kaiserslautern. The president of the association is Tomosada Kuda in Okinawa. He was born in 1950 and has been teaching the art of karate since childhood from his father and also from Grand Master Hohan Soken. We would like to invite all English-speaking citizens to our training. You can join the training up to three times for free. You don't need anything but comfortable sportswear. We are looking forward to your coming. There is no training on public holidays. Special training times apply during school holidays (see news). We recommend adult training from the age of 13 years.